Founded in 2011, MPNforum and its companion MPN Quarterly Journal are open source publications entirely managed and staffed by patients and caregivers with the volunteer participation of scientists, hematologists and healthcare providers. With 12,000+ monthly readers, MPNforum is the most widely followed independent international on-line monthly magazine focused on myeloproliferative neoplasm patients and caregivers. 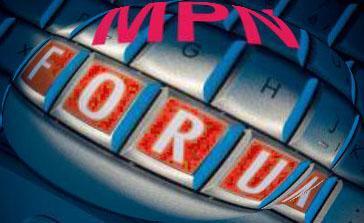 Subscription: MPNforum Magazine is open to the Internet without the need for subscription. (Subscribers get special bulletins, early notice of publication plus the option to join the private MPNforum Facebook discussion group.) MPNforum articles and features have attracted 450,462 visitors to its pages by October, 2015. To subscribe simply go here and provide an e-mail address. MPNclinic: MPNforum sponsors the MPNclinic – an on-line resource for patients to have their questions answered by MPN specialists, currently Dr. Richard Silver, Dr. Srdan Verstovsek, Dr. Ruben Mesa, Dr. Claire Harrison, Dr. Attilio Orazi, Dr. Ross Levine, Dr. Moshe Talpaz, Dr. Jason Gotlib, Dr. David Steensma, and Dr. Hans Carl Hasselbalch. This resource is available to all without restriction. Project Manager, Mary Morochnick, R.N. The Fatigue Project: MPNForum is working with the MPN community — MPD Voice, MPD Support, and the MPN Research Foundation — along with Dr. Ruben Mesa, Dr. Robyn Scherber and their Mayo Clinic team and Dr. Claire Harrison of Guy’s and St. Thomas’ NHS (London) to gather data in anticipation of designing a clinical trial to test effective interventions to allay patient fatigue, the foremost symptom of MPNs and other blood cancers. The work has so far resulted in publication of three scientific papers and presentation at two meetings the American Society of Hematology. Management: The MPNforum Magazine and private Facebook page are entirely managed and staffed by patients and caregivers with the participation of volunteer scientists, hematologists, and clinical investigators. A five member rotating Editorial Board participates in editorial oversight; four Adminstrators run the Facebook page, Mary Cotter, Jeremy Smith, Elizabeth Bassett and Juli Libon; currently, two physicians and a registered nurse are active in managing MPNforum. Zhenya Senyak is publisher/editor. Copyright: All material is published under Common Creative Non-Commercial license and may be copied with attribution to author and source.